One way you can support the restoration of Olivewood Cemetery is by purchasing a T-shirt or commemorative book. Books are 28 pages long and feature photos, information on the cemetery, and some of the individuals who are interred there. Books are $10 each. T-shirts come in 2 styles and a variety of sizes for your and adults. Shirts are $15 each. See below for more information. 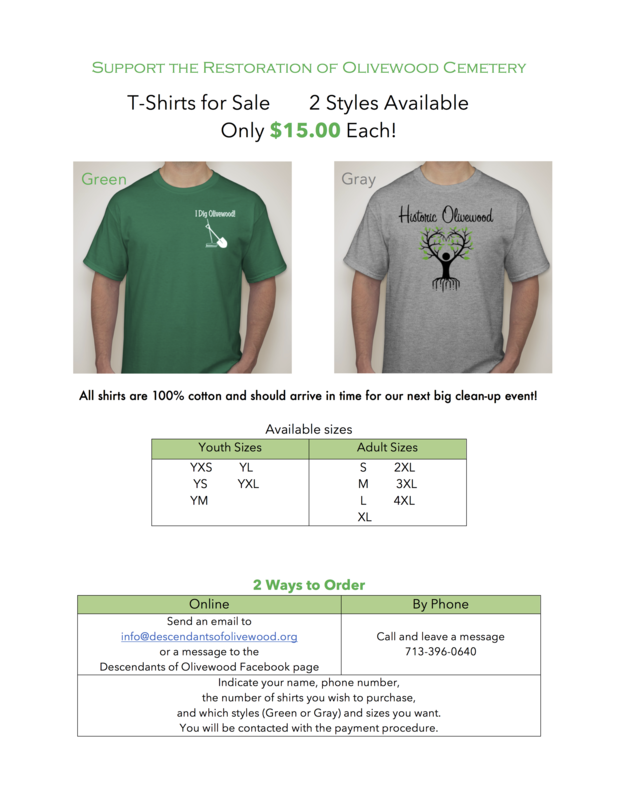 Send an email to info@descendantsofolivewood.org or call us at 713-396-0640 to place your order.